Taste and Feel: Richmond's 2015 Culinary Highlights | Food and Drink | Style Weekly - Richmond, VA local news, arts, and events. 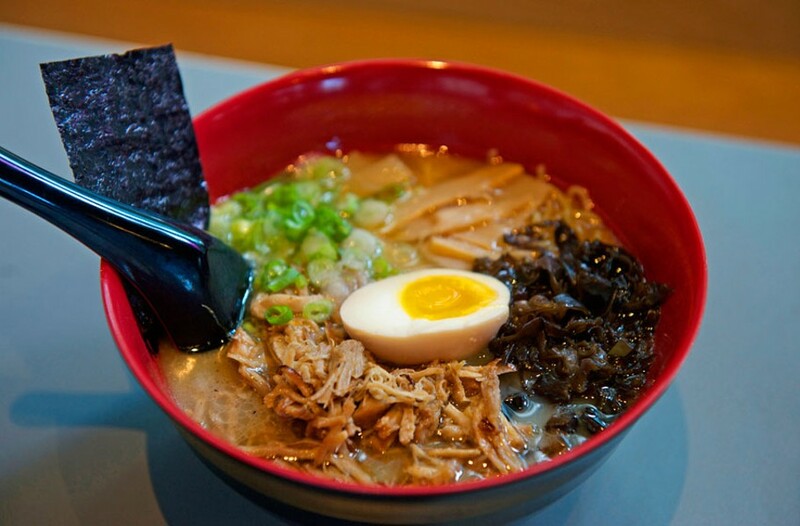 Shoryuken Ramen served up countless bowls — its tonkotsu ramen shiro is pictured here — on Franklin Street and proved that Richmonders couldn’t get enough of noodles this year. It was a year of extravagant emotions in the Richmond dining scene — moments of soaring happiness mingling with others of unexpected sorrow. Trying to report on the food news in 2015 was a little like running after a toddler who was either fleeing from you, weeping wildly, or jetting off because it’s a thing to do that’s really fun. Either way, it was hard to keep up. And in other words, it was business as usual. The openings — one after another were announced. Asian cuisine appeared in its myriad forms, comfort food and brewpubs dominated, and owners added a second or a third restaurant to their rosters — think Rancho T, Sabai, Stroops — while others closed them, as in the case of Portrait House, Estilo and Bella’s Restaurant. Never boring, always changing — here are some of the highlights of last year’s news from the dining scene. Star gazing: The folks at the James Beard Foundation discovered Richmond in a big way. Could it have anything to do with the large influx of influential chefs, cookbook authors and food writers that the food-centered event, Fire, Flour & Fork, brings to town each fall? Who can say? 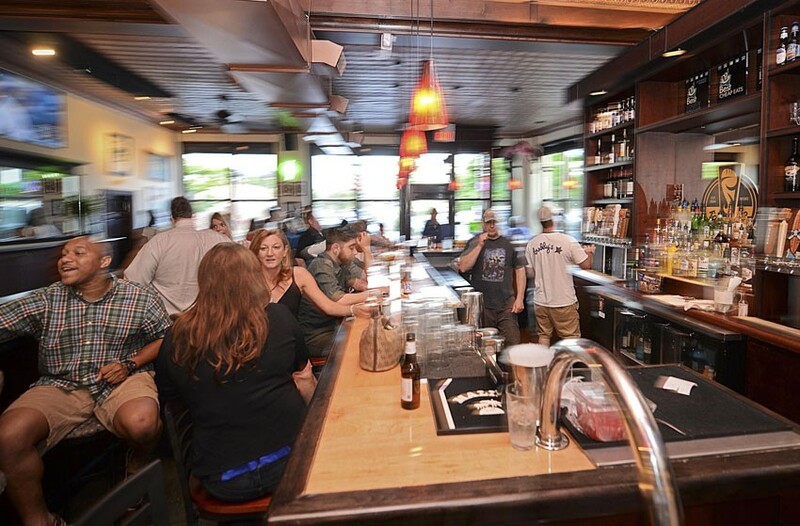 What we do know is that three Richmond chefs were semifinalists for the best chef Mid-Atlantic award: Peter Chang of Peter Chang China Cafe, Lee Gregory of the Roosevelt and Southbound, and Dale Reitzer of Acacia Mid-Town. In addition, Sally Bell’s Kitchen, slated to move to a new location in 2016, won a James Beard American classics award. Noodling around: 2014 was the year of the noodle, wasn’t it? Not exactly. In 2015, diners saw noodle-mania intensify. Shoryuken Ramen, eternally popping up to great acclaim, settled into the old Dash Kitchen & Carry space. Joe Kiatsuranon revamped the already-open My Noodle & Bar to take on 2016, and Spiral Noodle came to Carytown along with Zzaam Korean Grill. JKogi Seoul Street Eats expanded into Thai Corner’s space and started sitting customers down for a meal. The last two places aren’t exclusively about noodles, but there are an awful lot of them on the menu. Across from her eponymous restaurant, you can now get Stella Dikos' dishes already prepared and ready to transform dinnertime at Stella's Market. To market, to market: Saison was first out of the gate, but this year Johnny and Katrina Giavos launched spots to offer neighborhoods lacking small markets forgotten eggs or milk, plus prepared food. 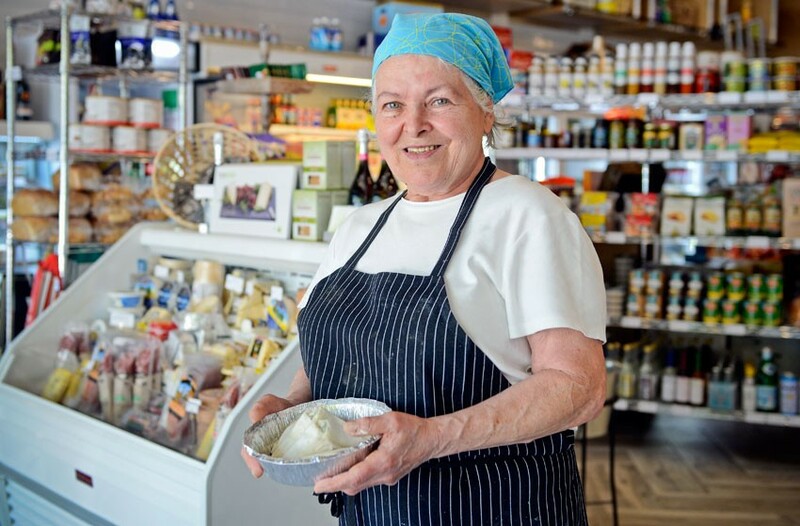 Stella’s Market provides grocery basics and Greek specialty items, coffee and the biggest prize of all — Stella Dikos’ most-beloved dishes, wrapped and ready to take home. Kohlmann’s Market functions similarly on East Grace Street, with nearby Perly’s Restaurant & Delicatessen serving as inspiration. Farther downtown, Pop’s Market on Grace shifts the equation and serves sandwiches and light fare along with grocery items that owner Josh Wright uses to create his menu. Baked: Richmond has a lot of bakeries and coffee shops. And it gained even more. After Globehopper Coffeehouse and Lounge closed at the beginning of the year, Whisk mounted a successful Kickstarter campaign and started serving French-influenced baked goods, coffee and sandwiches in the same spot in Shockoe Bottom. Carytown’s Sugar & Twine took over Capital Coffee and Desserts and updated it for the 21st century. Zosaro’s Bakery opened on Lakeside and Idle Hands Bread opened in Scott's Addition. Sweet Fix, specializing in gorgeous cakes, set up shop in Manchester, while Sugar Shack opened a store in Midlothian. In addition, Main Street Coffee, Perk Coffee and Lunchbox, and Brewer’s Café opened and started serving baked goods and sandwiches along with their lattes and cortados. After all the brouhaha about Buddy's Place's move to the Devil's Triangle settled down, diners discovered that the restaurant was doing just fine. Moving day: It was a little like a key party, with restaurants exchanging one set for others at another location. Actually, that’s not at all like a key party. Buddy’s Place, probably the move heard ’round Richmond, traded the Fan for the Devil’s Triangle, hardly missing a beat. JKogi Seoul Street Eats moved next door, and Julep’s New Southern Cuisine nimbly jumped from North 18th and East Franklin streets to the old Shields Shoes and Montaldo’s building on East Grace Street. Slowing the beast: Just when it seemed like independent restaurants couldn’t survive national chains such as Panera Bread and Panda Express’ takeover of the West Grace Street area, Asado Wing & Taco Co. set up shop around the corner in the old Empire space, Deep Run Roadhouse opened a second location on Laurel Street, and Lapple proved that cooking for Peter Chang is work experience diners should look for. 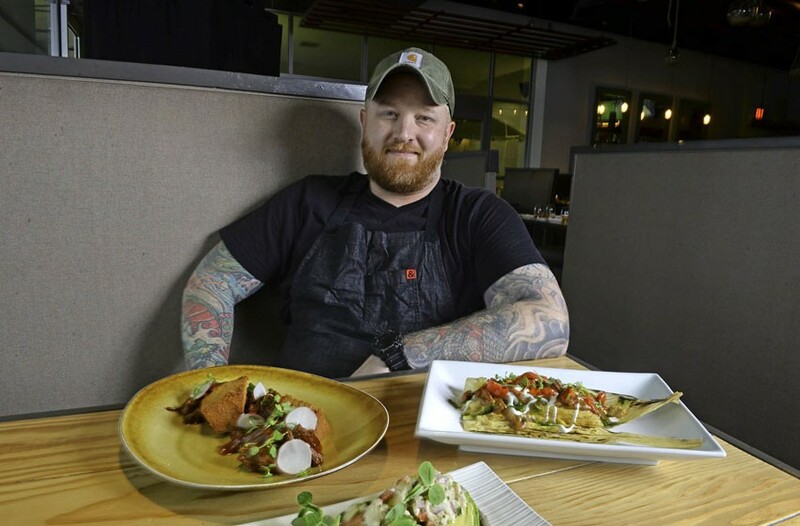 A big question in 2015: "Where is Owen Lane cooking now?"